The metal garage doors available at 31-W Insulation for homeowners in the Franklin, Indiana, area are not only sturdy and strong but also incredibly safe. Armarr® – a leading industry manufacturer – has engineered these doors to provide the utmost protection while they open and close by equipping them with tamper-resistant brackets – the brackets protect the doors’ inner mechanisms while under tension. These doors are also outfitted with SafeGuard pinch protection and flush mount hinges to help keep your hands safe whenever you open and close the door manually. And, because of its durable steel construction, an Armarr® metal garage door can withstand a high wind load and help keep your garage intact during severe weather. With our company, you can expect personalized and professional service every step of the way, beginning with the free in-home design consultation. 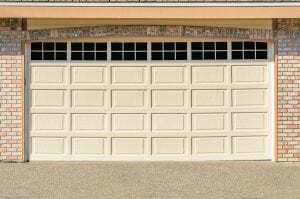 Our top-notch service also includes the professional installation of your garage door, which will be completed by our factory-trained experts. Our goal will be to ensure your complete satisfaction, and we’re confident that after you do business with us, you’ll understand why we have an A+ rating with the Better Business Bureau. What’s more, you can rest easy knowing that your investment in your home is covered as it will come backed by a generous manufacturer warranty. For additional information regarding the metal garage doors that we have available for residents throughout the Columbus, OH, area, contact 31-W Insulation today.